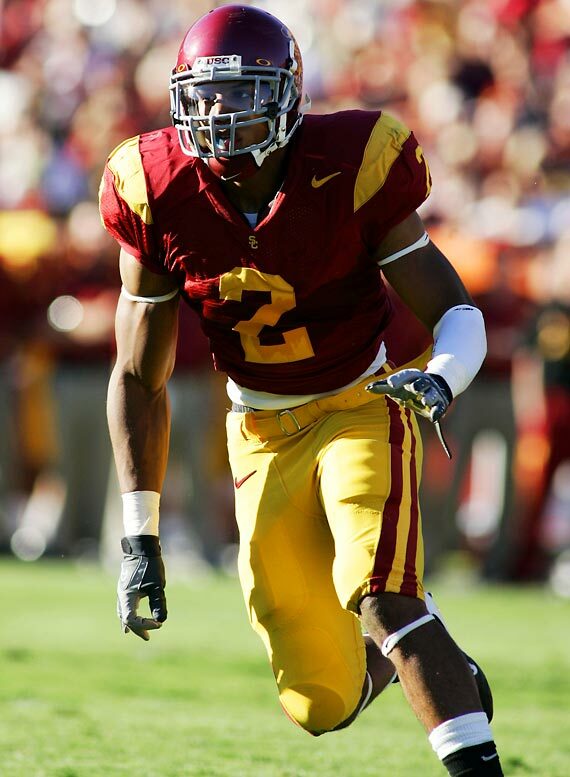 Just over a year ago the draft gossip was indicating that a hard-hitting safety from the University of Southern California would be the top overall pick in the 2010 NFL draft. Fast forward twelve months and that man, better known as Taylor Mays, slipped into the second round of the 2010 NFL draft and into the welcoming arms of Mike Singletary and his San Francisco 49ers. Mays ended up being drafted at pick #49, a position that will no doubt leave a lingering chip on his shoulder for many years to come, if not his whole NFL career. The 6 ft 3 inch specimen of physical perfection was upset when his former college coach at USC, Pete Carroll, now head honcho at the Seattle Seahawks, passed on him twice in the first round (#6 and #14). One thing is for sure Mays will have a lot of built up anger before he even puts on some practice pads. Over here in England we are going to be extremely fortunate to see Taylor Mays in the flesh, when he comes over to England to play the Denver Broncos at Wembley Stadium, London in October. NFL FAN IN ENGLAND editor Lawrence Vos managed to talk to Taylor Mays for a 60 second interview (29 April 2010), a little over a week after being drafted by the 49ers. LV: “What are you looking froward to the most about coming to England? This is only the first part of what I hope to be a much longer interview. Regardless how short and sweet the answers were it sure is exhilarating to know that I have had my questions answered by a guy who was drafted in the top #50 overall this season. Big thank-you to Taylor for your time and to Dan Beckler and Bob Lange from the San Francisco 49ers media team for making this happen.